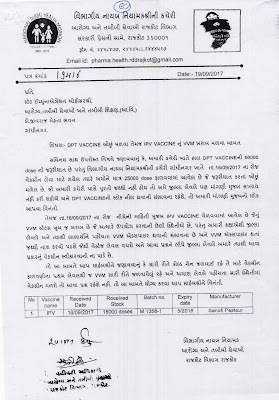 In a shocking disclosure, many of the vaccines injected to children in Gujarat have either been found to be expired, or are in the last stage of expiry, with district health officials, conducting vaccine programme and distributing vaccines to local health centres, writing two letters to the Gujarat government about this. The letter underlines, “It is on the last VVM stage. There is full possibility that, if we send the vaccines to other district and taluka level, by the time it reaches the actual beneficiaries, it will expire. Because of the expiry and last stage of vaccine, this is dangerous”. VVM stands for Vaccine Vial Monitor, which has a colour coding, which changes when it is to expire or is towards the expiry stage. The IPV vaccine has to be kept in special conditions between 2 and 8 degrees C temperature. If the vaccine is exposed to higher temperatures, it expires and falls under non-usable category. 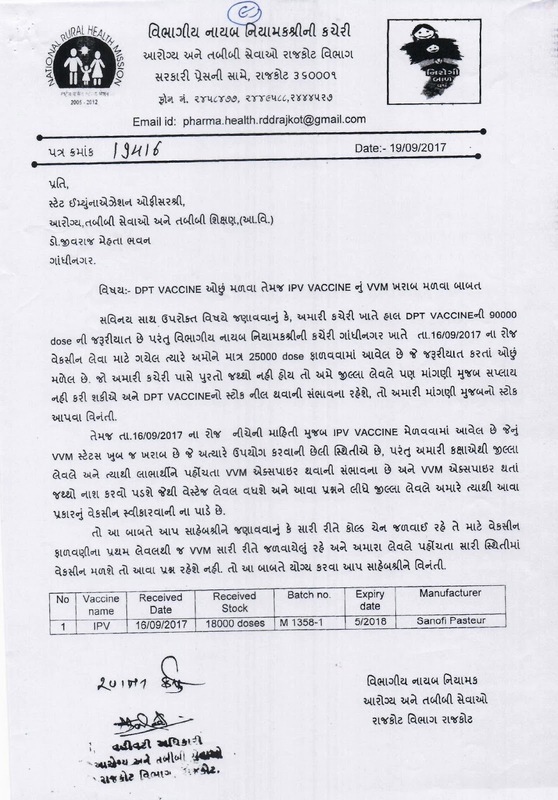 The local health officials of Rajkot further revealed that that 18,000 vaccines of batch number M 1358 1, with the written expiry date of May 2018, were received by them when these were in the last expiry stage because temperatures were not being maintained properly when they were dispatched. Health officials of Kutch and Morbi have also made similar complaints. 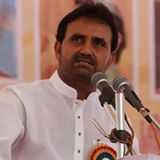 Gohil wondered why the polio vaccines were not destroyed even after the district health officials clearly said they were in last stage, and possibly they had expired, when they actually reach the beneficiary despite clear communication in writing. “What was the condition of the polio vaccines when they came to Gujarat? 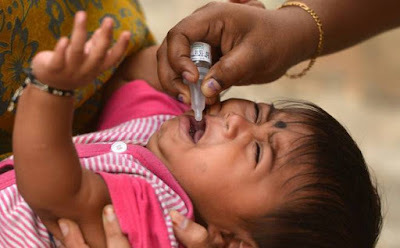 What was their VVM status?”, he asked, even as demanding that the French drug company Sanofi Pasteur should come up with a clarification about the status of vaccines it sent to Gujarat. The revelation is significant, as India was declared polio free in May 2014, 19 years after it embarked on the programme to eradicate the disease. Two India’s neighbours, Pakistan and Afghanisation, however, remain polio endemic.